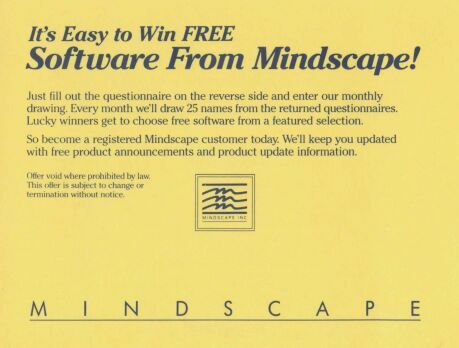 One of the larger publishers of games for a long number of years, Mindscape released many games in all sorts of genres. They also imported games, from Europe for example, and published them under the Minscape label in North America. Here are some of the more fantasy and adventure-oriented ones.